AFTER THE END OF WORLD WAR I, three girls were born. Their names were Flo, Grace and Bee—they were my grandmothers. 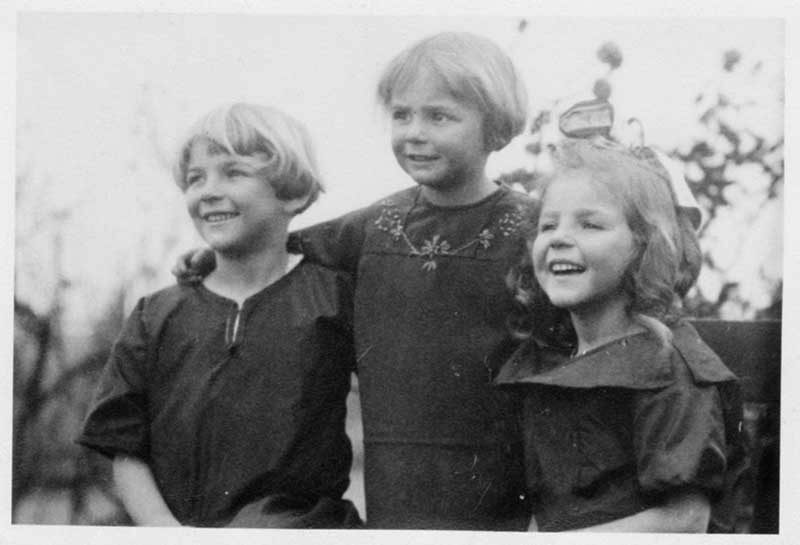 Children during the Great Depression and women of the Greatest Generation, Flo, Grace and Bee lived very full lives. Collectively they shared 268 years of life experience. Each faced their share of highs and lows, the deepest of losses and the greatest of joys. With each experience came a story. Many of them my grandmothers freely shared, some they were fiercely private about. I looked up to these women and have communed with them in my heart since their passings. I miss the light of their eyes and the touch of their aged hands that instilled in me so much of who I am and desire to be—someone who looks for the good in all people and situations. In 2016, I felt it was time to repurpose and rebrand Lexie’s Kitchen—a food allergy blog I had launched in 2009. I considered names that aligned with pursuing all things good. Flo and Grace. That was it! What better a way to honor my grandmothers and preserve their legacy. Thank you for making Flo and Grace a go-to resource for feel-good recipes, natural approaches to good health, and products that support good living. Florine was my father’s mother. She was born in Burlington, North Carolina in 1919. Her father was the station master at the Burlington Station. After graduating from Elon University she worked for the Girls Scouts. 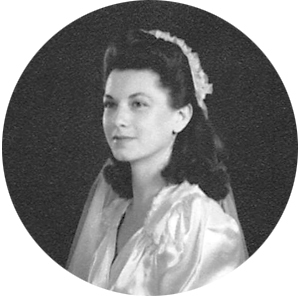 She married her college sweetheart, Howard, in 1943 and became a Navy pilot’s wife. 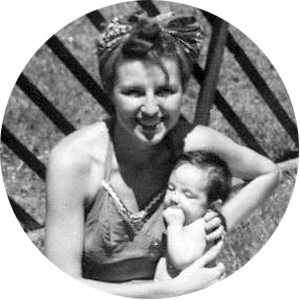 For the next 25 years she made homes in Morocco, California, Midway Island, Florida and Hawaii. Enamored with Hawaii, my grandparents chose to permanently settle in paradise where Tutu (what I called all my grandmothers) Flo became an elementary school teacher in Kailua, Hawaii. She played golf, she volunteered at her church thrift shop, and she enjoyed her only grandchild—lucky, lucky me. She was the mother of four children, three of whom preceded her in death at the age of 94. Flo was a southern lady through and through—70 years after leaving the south she still spoke with her distinct drawl. Determined to make a lady out of me, she rewarded me with a purple dress for chewing with my mouth shut, and a red one for standing up straight. When she had her hair done—mine got done, too. She bought me my first bra and introduced me to deodorant. She taught me what it was to serve, to say thank you, to be polite, to help, and to be a patient and faithful wife. Tutu Flo was active and able until the day she died. She passed away in 2013, just six weeks after her husband of 70 years. Grace was my mother’s mother. She was born in 1918 in Cusseta, Georgia and grew up during the Great Depression. She lost her mother at 17 and her only sister and father three years later. After high school she entered nursing school at Emory University and went on to become an Army nurse. She was assigned to a ship platoon that accompanied troops to the European theater and returned with wounded. They sailed with General Patton and his 2nd Armored Division and landed in Casablanca. Upon her return to Camp Kilmer, Grace crossed the country by train under black out. She never forgot the kindness shown by locals on-route who greeted the train with coffee and doughnuts at stops along the way. The nurses then boarded a ship. Where it was going was no one knew. After weeks at sea, land was in sight. With joy and delight Grace found her feet on solid ground in Hawaii. She reported for duty in Makawao on Maui, treating patients from all branches of the military and entertaining Navy pilots while on R&R. Lifelong friends were made there, including my namesake Alexa VonTempsky. As the war shifted gears, Grace was sent to a hospital in Waikakalaua Gulch on Oahu in 1944. Before leaving Georgia, Grace had promised to wait for my grandfather-to-be, Jean Paul. While she was in Hawaii, he was off fighting in the South Pacific in the effort to liberate the Philippines. 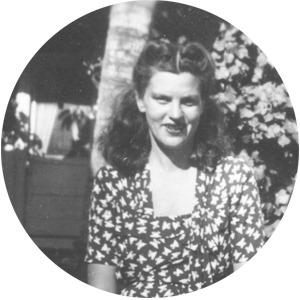 While there Jean Paul contracted a severe case of malaria and managed to convince his Commanding Officer that he could “just as well recover in Hawaii as he could in New Guinea.” On a sunny Oahu day in 1945, Grace was called out of the OR to take a call. At the other end of the line was Jean Paul asking for a lift from Hickam Air Force Base—as well as her hand in marriage! The two were married in the chapel of the hospital there in Waikakalaua Gulch. The X-ray technician was the wedding photographer, the Red Cross lady played the piano. It was a real military family affair. The two honeymooned on the North Shore of Oahu in a little beach house and made the decision to separate from the military and make Hawaii home. They had three children and my grandfather eventually re-enlisted in the Army. Grace took the return to military life in stride, enjoying the opportunities to travel and live abroad. In 1985 my grandfather didn’t make it through a surgery and left Grace a widow. Strong in her faith and with a deep love for her family, volunteering, golf, and watching sunsets from her condo in Kona—she continued to live a full life. She surprised herself by marrying again and enjoyed many of her sunset years with her second husband George, before making a full circle back to—and spending her last days in—Georgia. Tutu Grace taught me what it was to love unconditionally. To seek God and to make adventure a part of everyday life. Evelyn, known to all as “Bee,” was my step-grandmother. She grew up on a farm in California’s San Joaquin Valley. In 1939, Bee bought a one-way ticket and left California for Hawaii aboard the SS Lurline. There she worked as a secretary for the US Army Corps of Engineers in Hilo. Intending to make her way around the world, Bee had planned on transferring to Singapore, but put all that aside after she was introduced to her future husband at a Hilo diner by mutual friends. Returning to Hilo after a camping trip to Volcano National Park, Bee and this group of friends found the entire city blacked out. Pearl Harbor had been attacked! Bee’s marriage to my grandpa Don was quickly set for the following Saturday. And like that, a family and life started on the Big Island. Bee became active in the Boy Scouts and Girl Scouts as her three children grew up in Hilo. Her husband’s business (Caterpillar tractor sales for the Pacific) required much travel and meeting with influential guests and families. There were Pacific Trust Territory royalty, dignitaries and distinguished visitors like scientist Doctor Edward Teller, to be hosted in Hilo. Tutu Bee made entertaining appear effortless—she excelled at it. I can still hear her deep, jubilant laugh and see her sweeping saunter as she made her way among party guests—making each feel welcome, special and attended to. A self-taught gourmet cook, Bee introduced her grandchildren to the delicacies of pâté, heart of palm and Dungeness crab. After retirement in 1976, Tutu Bee and my grandfather enjoyed world-wide travel and family. Hi! I’m Alexa. Most days I successfully juggle my love for cooking, photography, gardening, wifing (is that a word?) and mommying—other days it’s a recipe for disaster. 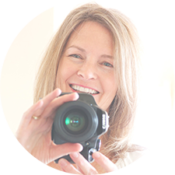 A passion for helping and healing inspired my former site, Lexie’s Kitchen, and carries over here to Flo and Grace. My day job is as a freelance graphic designer serving brands that do people and the planet good. It means the world to me that you are here reading my ramblings and desiring to pursue all that is good in this world.